Thomas Elstob, South Shields Station steward, takes high rank among diligent, faithful stewards. Born in 1850, for long years he has rendered valuable service to our church. In 1872, under the ministry of Rev A. Latimer, he came to newness of life, and since that hour he has maintained an unbroken useful connection with our Church. He has been a Sunday School teacher for twenty-nine years, and for some twenty years was school secretary. He has been Trust Treasurer for Glebe Church for nineteen years, society steward and circuit steward for twelve years. All these offices have been ably filled. He is an excellent Circuit Chancellor, attending diligently to the finance of the station. Sparing in words he abounds in deeds. He is perfectly reliable, and when any duty is allotted him you can rest satisfied it will be efficiently done. As becomes a loyal Primitive our Church as a whole deeply interests him. Thomas was born in 1850 at Sheraton, Co. Durham, to mother Catherine. Thomas worked as a clerk for the North Eastern Railway Company. Thomas married Sarah (abt1853-1837) circa 1871. Census returns identify one child. 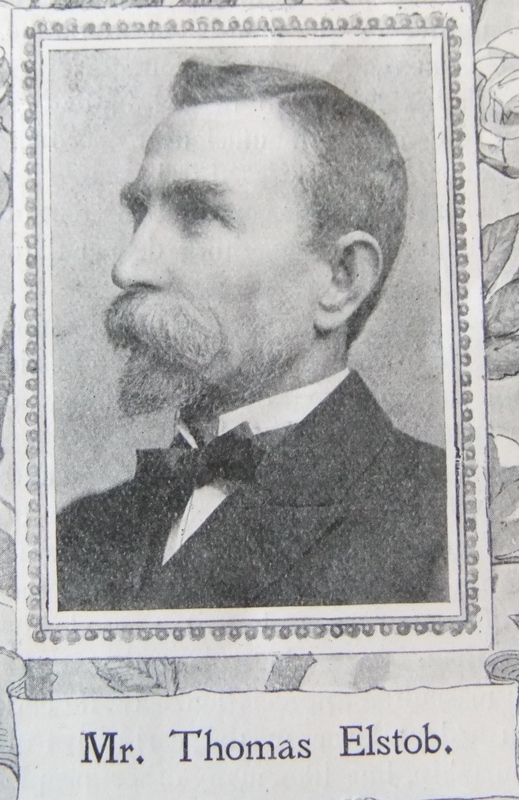 Thomas died on 15 July 1937 at South Shields.